This Sunday (7th July) was a reminder of last year’s summer of sport. 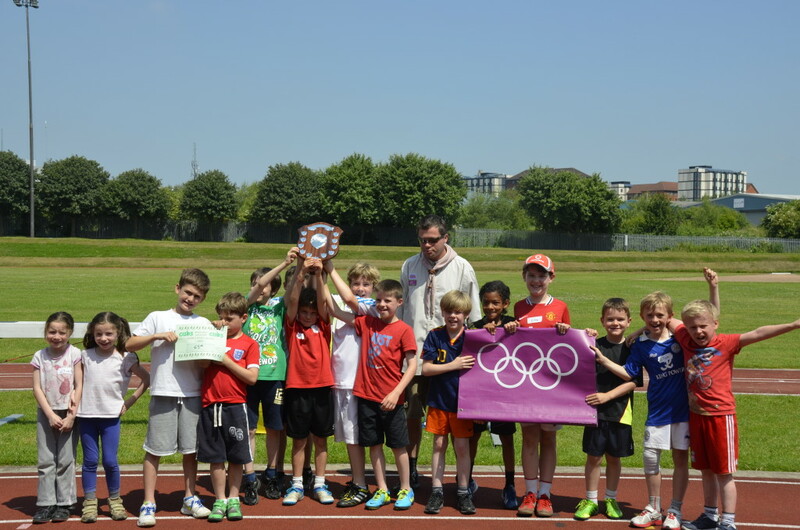 Not only did Murray bring Wimbledon home, but almost 70 Cubs from eight packs in South East battled for the first place shield at Saffron Lane stadium. There was no chance of the day being rained off this year, with temperatures of almost 30 degrees and not a cloud in sight. The standards were high throughout the heats, with every Cub giving it 110% and fighting for a place in the final. Between the heats and the finals, spirits were as high as the temperature, with Harry (61st) describing the morning so far as “Brilliant, awesome and wonderful!” and Cameron (58th) said it was “way better than school sports day” and every pack still was very hopeful for the finals. The first round of finals held the egg and spoon race, sprints and long jumps, with points awarded for a podium finish. Once the three categories were completed it was all still to play for and the score keepers got very secretive! As the sack race, cricket ball throw and egg and spoon finals were completed, a winner was still far from to obvious to everyone but the scorekeepers and it was time for the final event of the day; the relay. The stands were roaring throughout the relay with each pack cheering on their runners. The determination of the runners was clear – they were giving it their all despite the heat, with only seconds between the packs. This was it; the scores had been counted and the trophies were in place. The DC risked overheating by donning his uniform to make the presentations. The announcements were made with 58th taking 3rd place, and it was down to the 9th and 63rd for first place. 9th were announced for 2nd with cheers and celebration from 63rd. The presentations were made and 63rd was back on the shield, last appearing in 1992 just three years before the group closed its doors to be resurrected last year.